I have seen this photograph in pictures of interiors and loved it, but haven’t been able to track down the photographer or the source. Every once in awhile I might try a little Google-ing, but to no avail. 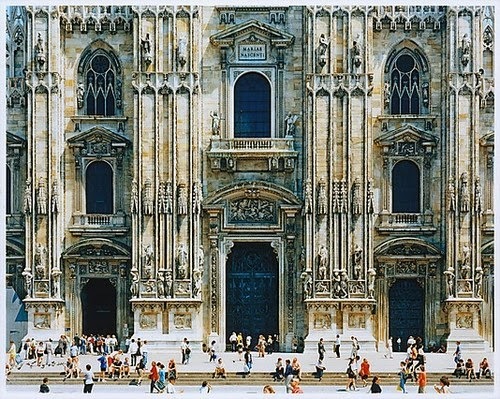 Last week I FINALLY hit the nail on the head and found that it’s by Thomas Struth and is part of a series of photos of places of worship. The cathedral in the photo is the Cathedral of Milan. I haven’t been able to find a print, but rest assured I’m working on it. I hope everyone has a healthy, relaxing, and warm weekend! I’ll be doing a little bit of working and a lot of hibernating.